Gambhu has been known eminent Gambhira nagari in ancient history . On every full moon day many prilgrienus from surrounding area visit for visious..Those who believe in this god. 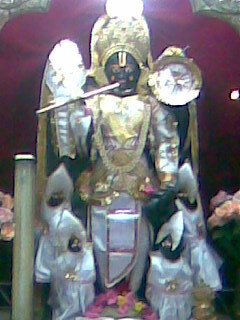 They are surely succeed we arrange a big procession of this god on full moon day of Asuin month. This chariot tales round from one places to another places and people was for loop. 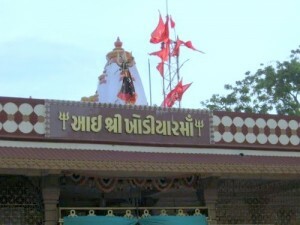 Make their lives happy and prosperous another temple of gambhu is .Sitla mataji, Reva maharaj samathi,manpuri maharaj,Famous jain temple(Gambhira pashvnath Bhagwan),Kanpir dada,Ambe mataji,Ganpati temple,Mahakali mata,Sikotar maa,mahadev mandir,Khodiyar Mata and Ramdev pir.The big nearest bus stop is mehsana 25 k.m, also railway station. To the west of the tower of St. Augustine is the Royal Chapel dedicated to St. Anthony, the national saint of Portugal and held in grand respect by the Portuguese. It was built in the beginning of the 17th century. In 1835 the chapel was closed but opened again in 1894 when it was also renovated. It was inaugurated again in 1961 after complete restoration done by the Portuguese Government. This tiny chapel is semicircular in figure and has an unusually styled facade, not based on any one style. It faces east and the belfries give it a fortress-like appearance. The semi-circular arched doorway is flaked with twisted pilasters and the shutter bears the Augustinian icon of the pelican feeding its young. The clerestory windows light up the interior of the church, which is exquisitely finished and richly ornamented. 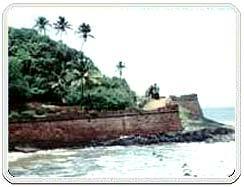 Fort Aguada is strategically situated at the estuary of the river Mandovi and was constructed in 1612 as a guard against invasions from the Dutch and the Marathas. The walls of the fort are 5 m high and 1.3 m wide. It is of little surprise then, that this remains the only fort that was not conquered by any invaders during the 450 year long rule of the Portuguese empire. "Agua" in Portuguese means water, thus the fort derived its name "Aguada" to denote a place where water is accumulated. The area around the fort housed a large well and a number of springs that provided fresh drinking water to voyagers that arrived by ship. An interesting feature in the majestic fort is a 13 m high lighthouse built in 1864, which initially used an oil lamp to show seafarers the way. It was later renovated and modernised in 1976. A one time the lighthouse was home to a gigantic bell that was retrieved from amongst the ruins of the St. Augustus monastery in Old Goa. However, the bell has now been moved to the Our Lady of Immaculate Conception church at Panaji. 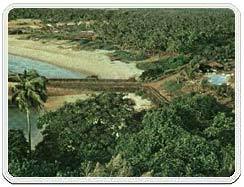 On the north side of the fort, a rampart of red-brown laterite just into the bay to form a jetty between two small sandy coves. This picturesque spot is known as Sinquerim Beach. Fort Aguada resorts, among the most expensive hotels in India, lords over the beach from the lower slopes of the steep si ded peninsula. The ruins of the fort can be reached by road; head through the Taj village, and turn right when one sees the sign. Nowadays, much of the site serves as a prison, and is therefore closed to visitors. It's worth a visit, though, if only for the superb views from the top of the hill where a four-storey Portuguese lighthouse, erected in 1864 and the oldest of its kind in Asia, looks down over the vast expanse of sea, sand and palm trees of Calangute Beach on one side, and across the mouth of the Mandovi to Cabo Raj Bhavan or The Cabo Palace, and the tip of the Marmagoa peninsula, on the other. This was construct by Viceroy Francisco da Gama, the grandson of Vasco da Gama in 1597. It carries the deer crest of his family. On top of the arch on the side in front of the Mandovi river is a little statue of Vasco da Gama, fully attired in his royal uniform. 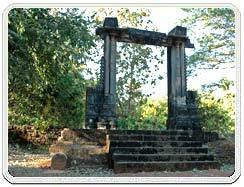 The arch is built of laterite stone with the side facing the river constructed of green granite. The original arch collapsed in 1948 and it was restored in 1954. The restoration omitted the third tier that contained the statue of St Catherine made of bronze that is now in the courtyard of the museum. Inside the archway is an inscription to Vasco da Gama and also to King Dom Joao iv, the first Portuguese ruler after it was liberated from Spain in 1640.On the back of the archway is a statue of a crowned woman standing on a "native", symbolizing the "Christian victory over paganism". 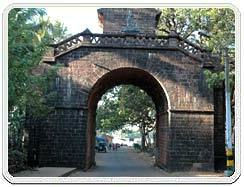 Tradition has it that on taking office, all viceroys made the procession under the arch where they would be given the ceremonial key to the city and Goa. The road under the arch known as the Rua Direita leads to the main square where most of the monuments exist today. The Basilica of Bom Jesus has been declared a World Heritage Site. It contains the remains of St Francis Xavier, Goa's patron saint who founded the Jesuit order. Francis Xavier was a missionary whose body is claimed to be miraculously preserved even till now, without the use of any chemicals. The body's right hand was removed and taken by the Jesuits in Japan, part of his right arm sent to Rome in 1615 where it is idolized in the 'Gesu.' It is kept in a silver casket with 3 locks, the keys being with the Governor, the Archbishop and the Convent Administrator. An exposition of the body is conducted every 10 years, since 1859, the next one being in January 2005. Millions of pilgrims come to view the miracle of the saint's body. The Church of Bom Jesus is also of laterite; its exterior, excepting the façade, was lime plastered, which was subsequently removed. The roof was originally tiled. The church is cruciform on plan. The flying buttresses on the northern side of the church are recent additions. A single-storeyed structure adjoining the church on its southern wing connects it with the professed house. The three-storeyed façade facing west, shows Ionic, Doric and Corinthian Orders, and a main entrance flanked by two smaller ones, each having Corinthian columns supporting a pediment. Within the church are two chapels, a main altar and a sacristy besides a choir at the entrance. A belfry is at the back. A projecting gallery, which was intended for the use of dignitaries on solemn occasions, runs along the two longer sides. Excepting the richly gilded altars, the interior of the church is remarkable for its simplicity. While the façade has the classical orders of the Renaissance, the altars are in Baroque style. The church is called "Bom Jesus" meaning 'good Jesus' or 'infant Jesus' to whom it is dedicated. The façade has on it, at the top, the letters, "HIS" which are the first three letters of Jesus in Greek. The two columns supporting the choir bear slabs inscribed in Portuguese and Latin recording that the construction of this Church of Jesus was commenced on 24 November 1594 and Fr. 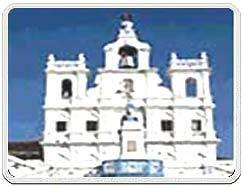 Alexia de Menezes, the Archbishop of Goa and Primate of India consecrated it on 15 May 1605, when it was completed. As one enters, beneath the choir, to the right is an altar of St. Anthony and to the left is an exceedingly well-carved wooden statue of St. Francis Xavier. In the middle of the nave on the northern wall is the cenotaph of the benefactor of this church, Dom Jeronimo Mascarenhas, the Captain of Cochin, who died in 1593, bequeathing the resources out of which this church was built. The main altar at the end of the nave is flanked by two decorated altars in the transept, one dedicated to Our Lady of Hope and the other to St. Michael. The richly gilded main altar has the figure of infant Jesus and above it is a large statue of St. Ignatius Loyola, founder of the order of Jesuits, gazing with fervour at a medallion on which is inscribed "HIS". Above the medallion, the Holy trinity - the Father, the Son and the Holy Ghost are depicted. In the transept on the northern side is the Chapel of the Blessed Sacrament. On the southern side in the transept is a chapel with gilded twisted columns and floral decorations of wood, where the sacred relics of the body of St. Francis Xavier are kept. The interior of this chapel is richly adorned with wooden carvings and paintings, depicting the scenes from the life of the Saint. On the southern wall are paintings in Italian School arranged in three rows. In the bottom row are two paintings showing St. Francis Xavier being received by certain Portuguese noblemen and his interview with the King of Bango in Japan. In the middle row are three paintings respectively showing Xavier praying with fervour for cessation of plague that broke out in Manas Island, kissing the repulsive ulcer wound of a patient in a hospital at Venice and the Pope Paul III pronouncing his apostolic benediction on the eve of his departure to India. In the top row are, three paintings of Xavier as a servant of a knight, his sad demise at Sancian, an island off the coast of China and the saint in ecstasy. There are also other paintings on the remaining three sides of the chapel, fixed in decorated wooden frames depicting the scenes from his life and the miracles performed by him. A painting, in oil on canvas, of ST. Francis Xavier is mounted on the top of the wooden door at the back of the chapel. The rectangular base of the tomb is of jasper of reddish and purple colors decorated with carvings in white marble. Above the basement is another rectangular mass of slightly lesser dimensions having a plaque in bronze on each of its four sides depicting the scenes from the life of the saint, and two cherubs holding scrolls. The four bronze plaques on the four sides show respectively, Xavier preaching to the people of Moluccas, holding aloft the Crucifix and baptizing the natives, swimming away to safety escaping from the wild natives of the island of Morro and dying in the island of Sancian off the coast of China. A beautiful silver statue is kept in front of the casket. The silver casket, which serves as a reliquary containing the sacred relics of the body of St. Francis Xavier, is exquisitely carved, and was once studded with precious stones. The casket is divided on each side into seven panels, each of which has two plates representing in relief important incidents in the life of the saint. The Duke of Tuscany, Cosmas III, gifted the tomb. A famous sculptor from Florence, Giovanni Batista Foggini, completed the tomb in ten years, and was brought to Goa where it was assembled in 1698. Adjoining the Chapel of St. Francis Xavier is a corridor that leads to the sacristy, entered through an exquisitely carved wooden door. It is an oblong vaulted structure with an apse at the end. Alongside the walls are kept the portraits of various saints above delicately carved chest of drawers. In the altar at the apse in an iron chest containing a golden rose blessed by the Pope Pius XII and gifted to this city in 1953. At the foot of the altar is the grave of the founder of the vestry, Balthazar da Veiga who died in 1659. A painting giving a fair idea as to the state of the body of St. Xavier about a hundred years ago is displayed near the altar. Where the Kuchcha road branches off from the road to Neura, leading to the Church and Convent of the Cross of Miracles , is a single pillar on a raised platform, which once occupied the central place in the city square, and was used for punishing offenders of the law, who were tied to it and publicly whipped. 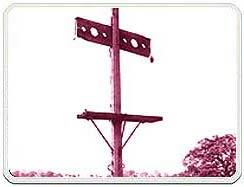 The Pillory was in use during the Portuguese rule till the end of the 17th century. The pillar, which is of basalt, had iron rings fixed to it and from its figure and mouldings it appears that the pillar might have formed part of a Brahmanical temple. Location : Dabolim, Vasco-Da-Gama, Goa. Origin : 19th October 1998. 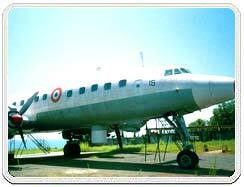 History of Naval Aviation; Various Aircrafts, Weapons, Sensors, Safety Equipments, Rare Photographs Depicting Goa's Liberation And Artifacts. The museum is open on all days from 10.00 am to 4.00 pm. The Gate of Adil Shah's palace was built before the Portuguese period. 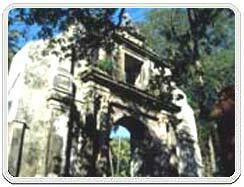 It is located just left (north) of the road leading to the Church of St Cajetan. It is about 3m high. 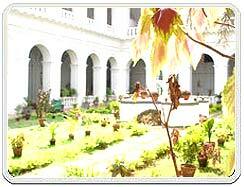 The palace of Adil Shah was a magnificent building. The Portuguese governors lived there until 1695. Over the years, the palace fell apart and was eventually demolished in 1820. Now only the gate remains which is architecturally purely Brahminical in style. Six steps in front of the gate lead to the raised platform on which the gate stands. It is made of basalt and consists of a horizontal lintel resting on pillars decorated with mouldings and having on the outer side fragmentary perforated screens. 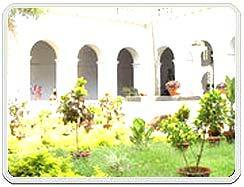 The College of St. Paul, once the main institution of Jesuits in India for imparting knowledge on Christianity, was built over the ruins of a mosque south of St. Cajetan's church at Old Goa in 1542. However, it was abandoned during the outbreak of plague in 1570 and went into disuse. The Government demolished this ruining composition in 1832 to carry materials for building construction in Panaji. What remains of the college that was done in 1542 and of the collegiate church consecrated on 25 January 1543 is the façade in the shape of an arch with a niche at the top and a cross crowning it. The arch that led to the College as a gateway is built of laterite, flanked on either side by a basalt column of the Corinthian order on raised plinth, and supported by basalt pilasters of the Doric order.